*Editor’s Note* – The Minnesota Department of Natural Resources wants to increase hunting license fees from $30.00 to $34.00, and they say the increase is needed for “maintaining the level of deer management Minnesota has. Not increasing it.” In addition, the government says we’ll have to take their word for it when they say that most of the money from hunting license fees goes toward deer management even if a recent audit didn’t show that…or can’t show that. Officials say that employees of DNR don’t closely scrutinize how much work actually benefits deer….or something. Perhaps they consider Facebook time as deer management? The Minnesota Deer Hunters Association (MDHA) have previously voiced concern the the DNR was doing a poor job at deer management and claim the proof is in the fact that hunting success has dropped off, along with deer populations. First of all, name me another non governmental organization that gets a greater than 10% increase in their income upon request. I thought so. What’s difficult to understand is, if the MDHA is not happy with the DNR’s deer management, why then are they seemingly negotiating with the government on how much the increase will be for the hunting license and many other fees paid by sportsmen? It appears a simply rejection of this proposal is in order. This is a classic example of insanity and the redundant belief that throwing money at something makes it better. Over the many years I’ve covered these topics, I often hear sportsmen comment that they think they get a lot for the amount of money they pay for a license. Is that the issue? It shouldn’t be but I assure you it’s part of the problem. The questioning should be as to whether or not YOUR license dollars are being spent in the way you want them spent…without blindly accepting the word of corrupt government that they are looking out for you. If only $2.00 of a $30.00 hunting license fee goes to deer management, and the overwhelming majority goes toward the “general fund,” in which government bureaucrats say is used to benefit deer and deer management, then Minnesota hunters are being hosed and they should do something about it. Another issue to consider, but seldom is, is the insanity of something being unacceptable and money is being requested to “maintain” the same level of insanity. Either deer management is good or it’s not. Either way all government fascists should be required to explain precisely where every penny goes. Dumping money into a general fund is the government’s favorite way of using that money for personal pet projects, etc. Perhaps cutting the budget, along with other IMPROVEMENTS, would be a better option. Governments get very comfortable with their lying, cheating and stealing and expect you and I will continue to support their bad habits. Recently I read an editorial in an online media outlet originating in Wisconsin. The editorial was actually a rebuttal in which the author, accused the first author of taking tactics and using information that was contradictory and incorrect (if only in the mind of the author). Laughable was the fact that the person rebutting the original article did the same thing. But that is all that is ever expected anymore. However, there was one comment made in the rebuttal that caused me to stop for a few moments and ponder. I then challenge Mr. Moore’s comment that “as many wildlife officials will tell you, it’s way too early to list them as endangered because scientists don’t really know what’s causing the decline.” As a wildlife biologist, I will tell you that not knowing the cause of a species to decline year after year is a very appropriate reason to list (or review) an animal as threatened or endangered. The US Fish and Wildlife Service will review the data to determine if the listing is warranted. The process is necessary. Without the protection of the Endangered Species Act, in many cases, scientists simply wouldn’t have time to figure out why species are declining (or find the solution) before the species is lost completely. I quoted the entire paragraph to make sure readers got the context in which the emboldened sentence was written. One not so obvious question might be, if data exists that the U.S. Fish and Wildlife Service can “review to determine” whether a species should be listed on the Endangered Species Act (ESA), then how can one claim “scientists simply wouldn’t have time” to understand that a species is in trouble? The more obvious question should be to ask if the “scientists,” i.e. fish and wildlife biologists, don’t have or aren’t taking the time to understand wildlife, then how much blame can be placed in the lap of state and federal wildlife scientists for “endangered” species? We pay them money to do a job. They seldom have answers and more often devise problems and more problems that require money and more money. Where does this madness end and when will their be accountability for poor performance? With far too much money being taken from license buyers and taxpayers to pay benefits and retirement pensions, little money is left to go toward wildlife management. The taxpayers are led to believe their money, and more money, is being used to “manage” species, but is it really? Retiring at age 50 with a pension might be what is adding to the lack of data and the seeming need to dump wildlife problems in the lap of the Federal Government, which is perhaps more corrupt and unable to do their jobs than what is found at the state level. The rigged system seems to be crafted to allow for government employees to work at wages higher than the national average for the same job. When money runs short, the cry goes out for more – often with the qualifier that “there just isn’t enough money” to “have the time” to manage wildlife. License fees go up and nothing changes for the better…except for the pensions. Once a species is neglected, the same rigged system creates another government department to deal with the prior’s ineptness. The Endangered Species Act becomes a parachute for state wildlife managers and a money-making machine for sue-happy environmentalists because they understand the system and they game it for their own profits. I recall that in an earlier life I was working at constructing a thrill ride from the top of a mountain to the bottom. With blueprints in hand, I oversaw the erection of the equipment. One lesson I learned from this was that there were issues with the building of the track I knew would not make for a complete and operational product. Always asked, “what are we going to do about this?” often my answer was, “THEY will have to straighten it out later.” As you may guess THEY become I/we. I had no parachute nor the power or resources to create another entity to bail me out. Isn’t this what appears to be the case with the ESA? Does it act as a scapegoat for inept wildlife management that causes the mindset of “they” will have to fix it? * Since 1987 Montana Shooting Sports Association and the Montana Fish, Wildlife and Parks have partnered to make about $25 M in grants available to local shooting ranges. This wildly popular program has made a huge difference in the availability of safe and suitable places for Montanans to shoot and practice gun (and by extension hunter) safety. * The Montana Fish, Wildlife and Parks has always administered the program and this was confirmed in a State Statute in 1999. * State funding budgets are confirmed every two years (the Legislature meets every two years). * In the last two funding cycles, the Montana Fish, Wildlife and Parks has diverted nearly all of this funding from the State budget for other purposes not budgeted by the Legislature such as employee pay raises. * This year the State Legislature is considering proposing putting the money they authorize for shooting ranges into a separate account to be used ONLY for shooting ranges. 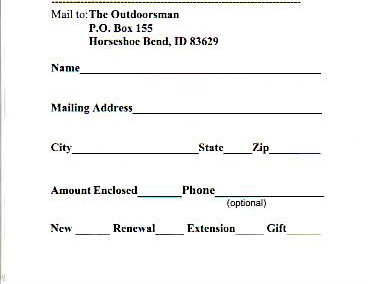 * The Montana Fish, Wildlife and Parks objects to this, claiming it violates the Pittman Robertson (Wildlife Restoration) Act that is the basis for federal collection of Excise Taxes on guns, ammunition, archery paraphernalia and certain imports. Montana Fish, Wildlife and Parks notified the US Fish and Wildlife Service Excise Tax administrators who have threatened to deny all Wildlife and Sport Fish Restoration funds (over $27M last year) if the State tells their own agency where to spend the money they authorize for shooting ranges. As a result, the State’s own wildlife agency is fixing to oppose the State legislature and Governor’s exercise of their duly elected and sworn duty to exercise oversight and set priorities OVER THEIR OWN EMPLOYEES WORKING IN THE STATE AGENCY THEY ESTABLISHED, AUTHORIZED, FUND AND FOR WHICH THEY (THE LEGISLATURE AND GOVERNOR) ARE THE SOURCE OF THEIR POWER AND CONTINUING OPERATION. * The US Fish and Wildlife Service Office that was notified by the State agency was the Federal Aid Program. This State Excise Tax oversight office is the very office that “saw no evil, heard no evil, and said no evil” twenty years ago when their political bosses stole $45 to 60M of the Excise Taxes from the state agencies (and you and me and our wildlife programs financed by our license dollars and equipment purchases) and then used the money secretly to capture Canadian wolves and release them in Yellowstone plus open a new office in California to all but share space with the environmental extremist and animal rights radical organizations that were replacing the historic wildlife management and wildlife users organizations as federal partners. Both the wolves and the office had been turned down by Congress and were refused authorization before the appointees, bureaucrats and the administration decided to simply steal the money, release the wolves and build the new office anyway. * This federal office oversees the operation of state wildlife agencies for compliance with Excise Tax uses named as “eligible” in the law and the operation of the state wildlife agency activities and uses of license revenue to remain eligible for their annual share or “Apportionment” of available Excise Taxes based on their area and the sale of hunting licenses in the state. Historic violations included Excise Tax or license dollars used to purchase vehicles for state motor pools; or such funds used to pay state parks’ employees; or hatchery fish or upland birds released on the private property of donors and politicians; or lands purchased with such funds used to build a prison; or revenue from timber sales on such lands put in the General Treasury; or selling wildlife for profit. These are examples of “diversions” and were supposed to be detected by audits by the overseers every five years as required by the law. Despite this requirement, the twenty years preceding the theft of the $45 to 60M were marked by the all-but disappearance of any audits, a hiatus that was welcomed by federal and state bureaucrats as their working “relationship” became closer and closer and more and more “informal”. When the theft of the money was exposed by a Government ACCOUNTING Office Audit, an audit firm was hired to audit every state wildlife agency and then to re-establish a 5-year cycle as required by law, corruption again reared its ugly head. Less than 3 years into the audits, the auditors had had found millions of dollars in “diversions”; the states were screaming (quietly); and federal bureaucrats wanted no more scandals: so the auditors were fired for being “behind schedule” and the Interior Department Inspector General who was simultaneously responsible for overseeing US Fish and Wildlife Service (?) was then “hired” to resume the audits. 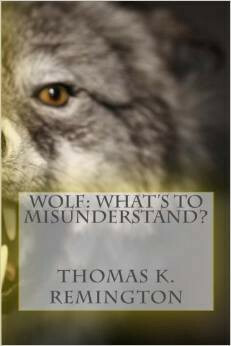 Needless to say, the “diversions” were evidently “mistakes” and never reported; and that particular Inspector General was introduced later by President Obama at his first State of the Union as the “New Inspector General for the Stimulus Program” that consisted of billions and which, like the state PR audits, was found to be as pure as the driven snow. * I note that the State agency is “preparing to argue against HB 234”. This plus their request to federal overseers and then the absence of any blowback by the state agency to argue for the State (and evidently NOT the State agency’s) position leads me to believe that this State agency (like many others) is much more of a federal subcontractor agency than a State Agency. As Struther Martin said in the movie Cool Hand Luke, I think that regarding the Montana Fish, Wildlife and Parks; the Governor and Legislature have “a failure to communicate”. * State agencies are generally reluctant to identify with “shooting ranges” in these days of national and international environmental and animal rights “awareness”. Shooting Ranges are generally like Trapping and Animal Control in these regards in that they anger those out to eliminate hunting and fishing and do things like loose free-roaming buffalo on rural Americans. * Wolves and grizzlies and like critters are loosed on a rural populace by federal bureaucrats and then “turned over” to state (is it their governments or one of these “independent” agencies???) management. This federally mandated management of these animals is expensive and the federal bureaucrats and State bureaucrats WANT FULL CONTROL OF ALL STATE FUNDS AND PRIORITIES WITHOUT ANY ACCOUNTABILITY TO STATE GOVERNMENTS OR STATE TAXPAYERS. This is not unrelated to these federal PR bureaucrats and State agency bureaucrats colluding to do just that with STATE LICENSE FUNDING EXPENDITURES AND PRIORITIES. * Federal bureaucrats these days accrue significant political and career benefits from enacting ways to further restrict gun uses, gun availability and ammunition supplies. Examples are – The secret negotiations by the State Department under Clinton and Kerry to negotiate a UN Small Arms Treaty that will shrink or abolish the 2nd Amendment. The Fast and Furious federal gun-running scheme into Mexico intended to create justification for more gun control that has never been explained. Closure by EPA of the last lead smelter in the US. Continuous statements by the President and Attorney General about the need to register and confiscate guns, etc……. Is it not possible that any federal bureaucrats that can establish a PRECEDENT to abolish any vestige of State control of their state wildlife agency, or their state wildlife license revenue, or such agency’s activities, AND SIMULTANEOUSLY POINT THE WAY ON HOW TO STOP AND REVERSE THE GROWTH OF SHOOTING RANGES might not at least be in line for a bonus and maybe an eventual promotion and all that portends? I do not doubt that this is involved in this whole tug of war between the government of Montana on the one hand and the Montana Fish, Wildlife and Parks & US Fish and Wildlife Service “partners” on the other. American individualism is a product of much work by our Founders, a meeting of the minds of Federalists and Anti-Federalists, and its many centuries’ old principles are embodied in the US Constitution. The Magna Charta is about 800 years old and still very relevant. American individualism forms the foundational basis of our government and therefore cannot be anti-government. But it is clearly anti-Communist, anti-fascist Nationalist and anti-consolidation-of-power found in similarly in the Communist Manifesto, the Koran and the bureaucratic administrative states in America. Drunken Karl Marx, responsible for nothing, created distinctions without differences. Part of his psycho-babble was “I stroll through the destruction a creator.” Setting classes against each other, that is, creating distinctions without differences, is an established tactic of the Communists, so said FBI’s J. Edgar Hoover, a loyal, trustworthy and moral American if there ever was one. In other words, not only is American individualism not antagonistic to society’s government, its miracle of freedom created the strongest government in the world in the history of mankind. And, the highest per capita income in the world ever since the 1830’s, as the late British economist Angus Maddison observed. But for too many decades now, America has been moving away from founding principles of limited government and individual freedom. So what are the common characteristics between Communism, the Koran and the administrative bureaucracies that destroy the fundamental Constitutional freedoms of individualism? In short, each consolidates power. Both the Communist Manifesto and the Koran advocate gangs of indoctrinated who roam society and mete out “social justice”, if you will, as they find it. Bureaucratic agencies use Investigators who roam about or are tipped off by anonymous contacts. These three types of consolidated power get rid of the role of pesky lawyers, but they also combine a number of divisions of labor that are prohibited in our history by English Common Law as expounded by Wm. Blackstone. Only the administrative process attempts to hide the consolidation of power by having law-trained administrative law judges rubber stamp the steam-roller process in kangaroo court. But substantive (authentic) due process requires more. Much more. Everyone can inherently understand the reasoning behind the common law’s prohibition of the Sheriff also serving as the Judge as a conflict of interest. It is obvious that the Sheriff will not accuse and arrest unless the Sheriff is convinced of guilt. And the Judge is supposed to be impartial. If not, a Jury will stand between the individual and the government. Add the requirement that the laws be published in writing and come from an elected legislative body, and you describe the requirements of the Magna Charta. But when Communists or radical Muslims grab, accuse and execute you, they act as Sheriff, Judge, Jury and Executioner. It’s more complicated than that in the administrative state. The agency Investigator, sees the offense, sends in the information, and by letter, the agency tells the accused of the fine for the violation. So the agency acts as both the Sheriff and the Judge. The agency has another agent contact the accused to work out a deal. Many times, a deal is struck because the agency offers to settle for a lesser amount now, but more if you exercise your Constitutional rights. But everyone in the agency acts as One on behalf of the agency. The agency accuses you, sentences you, tries to work a settlement with you, then enforces the sentence. As a general rule in the legal system, the initial accuser cannot be anonymous. And the administrative rules are not created the same way a law is. And as a general proposition in court litigation, there are ethical rules regarding attorney communications with the opposite party that do not apply in agency settlement “talks”. But with agency actions, you get no jury trial right, even on appeal to the Judicial branch. In fact, changing the process from an appeal to the Judicial branch to a review by the Judicial branch simply makes the Judicial branch an extension of the administrative law judge function. Such is more than a lack of niceties. It is a consolidation of power. But the consolidation does not end there. To further describe the consolidation of power in bureaucratic agencies (the administrative state) in more detail, Prof. Hamburger makes the analogy of the human “intellect, will, and force” to the three separation of powers being the “lawmaking will, executive force, and judicial understanding…”. Id at pages 326-327. He further points out that in the exercise of legislative will, the legislature is divided into two houses, and made up of elected people who represent individual interests. And the result of that legislative will must survive the Executive’s veto. Then there is the Executive who may be removed by the Legislature and Judiciary under certain circumstances. And the Judiciary is made up of three divisions of courts beginning with the trial court and two appellate courts to review decisions. But Executive’s agency rules evade all of those safeguards by consolidating its rule-making process to a publish and comment process that, frankly, seems to operate more as a “should we go slower or faster” military-style after-action report. And that is not the worst of it. Judicial deference to rule making, deference to rule interpretation and deference to the agency’s facts is an inexcusable abandonment of the duty of the Judicial branch to expound upon the law, or in this case the administrative rule. The most powerful point supporting that assertion is the fact that the Judicial branch does not allow even Congress to interpret its own laws, but it defers to the administrative state’s interpretation of its own rules. And the administrative state agency is a party in the litigation. To a lawyer, deference to a party litigant is a shocking discovery. The Judge is supposed to be impartial, neutral. But it cannot when it defers to one of the parties in the litigation. In those ways, administrative law defeats America’s unique Constitutional individualism. And major reform must be done. One is that the Judiciary must be reminded of its duty. And laws designed to thwart the proper judicial role must be changed and or found to be unconstitutional violations of the separation of powers. Two, administrative law judges whose decisions approving agency actions are overturned on Constitutional grounds two times should become automatically disqualified to work for government for life. This two strike rule should not disbar the attorney, but put him or her out into the private sector to make a living. I got the following in my email box this morning that I thought a good way to begin a work week by sharing. It also reminded me of another true event that took place a few years back. But first the short story and picture about a man who wanted to build a shelter for his horses. Here’s how the story goes. 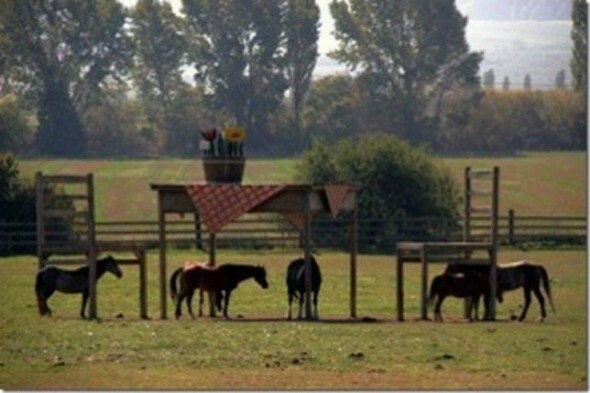 It seems a hobby farmer on the city’s outskirts sought council permission to erect a Horse Shelter. Permission was denied, leading to a typical protracted, one-sided, negotiation with Council. Exasperated the property owner wrote, “I suppose you wouldn’t even allow me to put a table and chairs out there…”. “Of course a table and chairs are permissible” replied council. 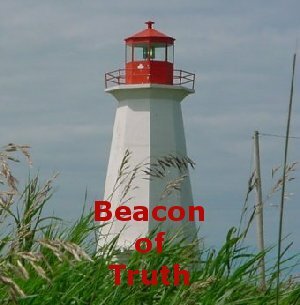 The story I recall was an event that happened in Maine and it is a true account. I have been witness to the item in question on many occasions. A friend wanted to rebuild a dock to go in front of his cottage on a small pond in Maine. The old dock had been in the water for many, many seasons and it was time for a rebuild. The owner did the right thing and went to the town to get all the proper permissions, etc. Upon arrival and expressing his desires, he was informed that he couldn’t replace his dock as the town had decided that man-made docks were a problem on the water. Thinking quickly, the man asked if it would be permissible to keep a boat at the shore tied to a tree or some kind of anchor. The official said that was acceptable. He went home, rebuilt his dock, included the construction of a transom and mounted a small but old outboard motor on the transom. He registered his new “boat” and then took it for a short ride, returned to the shore and tied the “boat” up so it wouldn’t get away. He has enjoyed his “boat” for several years now.